Twelve American trail running athletes to compete at the Trail World Championships in Miranda do Corvo, Portugal. 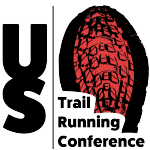 The USATF Mountain Ultra Trail Council is proud to announce members of the U.S. Trail Team scheduled to compete at the 2019 Trail World Championships (TWC) on June 8, in Miranda do Corvo, Portugal. The US team of 6 women and 6 men will tackle the technical 44 kilometer (27.3 mile) single-loop course, which starts at 334 feet above sea level in the city of Miranda do Corvo adjacent to the Louzan Mountain range. Climbing to a maximum height of 3083 feet above sea level, the hilly course has 7050 feet of ascending and descending. A profile and map for the race course can be found here. The top three finishers from their respective nation will score for the team in each gender division. This year marks the fifth year the event has been designated a “World Championship” by the International Association of Athletics Federations (IAAF), and the fourth year the American team will receive partial funding from our National Athletics Federation USA Track & Field. During this short history the team has seen podium success and met challenges with gutsy determination. The American men’s team finished on the podium in silver-medal position at the 2015 Trail World Championship led by Alex Nichols’ 6th place. After a medal drought in 2016, the American men made it back to the podium with a bronze medal at the 2017 led by Mario Mendoza’s 9th place. In 2018, Zach Miller led for much of the men’s race before dropping back to 8th while Mario Mendoza moved up throughout the race to finish 6th. The 2018 U.S. women took home a team silver medal led by Clare Gallagher’s solid 8th place. This year’s 12 team members represent six states and range in age from 23 to 39. The women on this year’s team are Kasie Enman, Dani Moreno, Elizabeth Ryan, Corey Conner, Anna Mae Flynn and Kelly Wolf. Representing the men’s team will be Tim Tollefson, Sam Sahli, Alex Nichols, Mario Mendoza, Zach Miller and Anthony Costales. 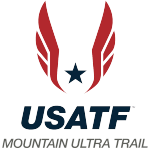 These athletes were selected to the team based on performances at selection races which included the 2018 USATF 50 km Trail Championships (Ragged Mountain 50K) and the 2019 USATF 50 km Trail Championships (FOURmidable 50K), as well as resume submissions as outlined in the published selection criteria. Over 30 talented trail runners submitted resumes for this year’s team. 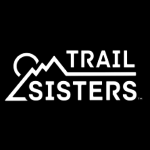 The following athletes earned automatic selection based on performances in selection races or at last years Trail World Championship but declined their spots: Clare Gallagher (8th place – 2018 Trail World Championships), David Sinclair (1st place – 2018 Ragged Mountain 50K), and Rachel Drake (2nd place – 2019 FOURmidable 50K). The 2018 Trail World Championship was held on May 12 in Penyagolosa/Castellon, Spain in conjunction with the Penyagolosa Trails event. Find photos of Team USATF at the 2018 event HERE. The 2017 Trail World Championship was held on June 10 in Badia Prataglia, Italy in conjunction with the Trail Sacred Forests event. Find photos of Team USATF at the 2017 event HERE. The 2016 Trail World Championship was held on October 29, 2016 in Geres, Portugal at the Peneda-Geres National Park and covered 85 km over a profile of 4500 meters. Find photos of Team USATF at the 2016 event HERE. The first Trail World Championship was held in Annecy, France, at the Maxi-Race on May 30, 2015. Find photos of Team USATF at the 2015 event HERE.